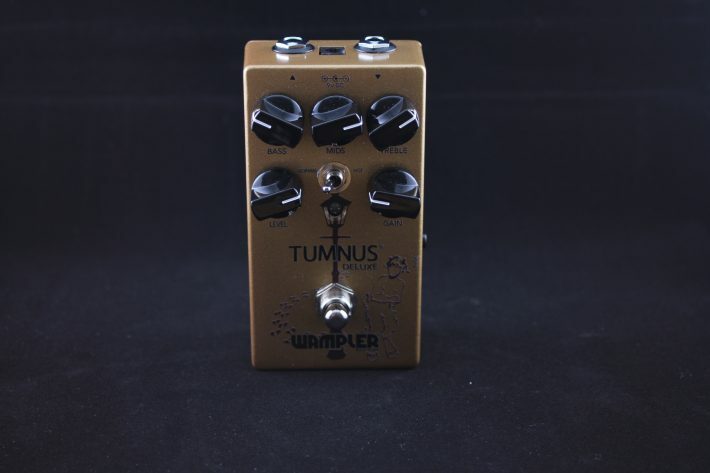 Of all the Klon clones, the Wampler Tumnus is perhaps the best known and most loved. Made in the USA, backed by excellent customer service, and housed in a mini pedal casing, there is much to love. Yet no device is perfect, and if you found that you did not like the Tumnus’s extra bottom end, or its inability to be powered by a battery, then you are in luck because Brian Wampler has finally released a deluxe version of the Tumnus. The Tumnus Deluxe takes the original Tumnus and adds a 3 band EQ, the option for buffered or true bypass circuitry, and more gain. 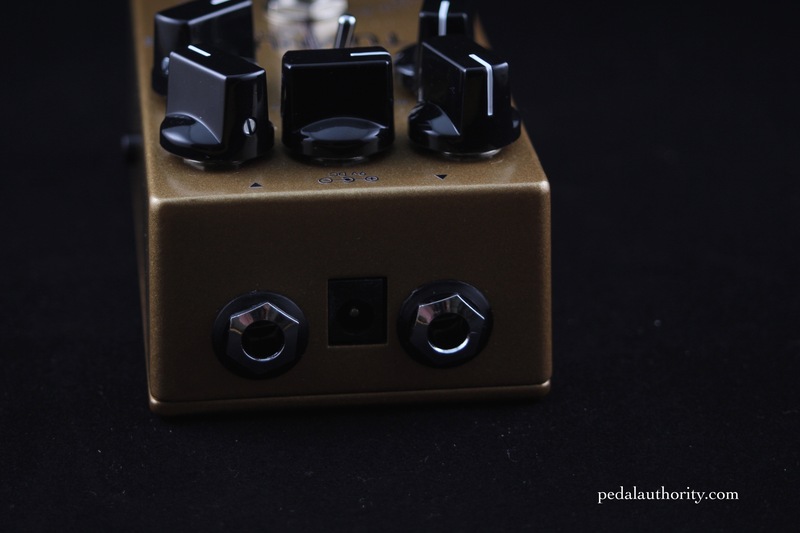 It is also not a mini pedal, so if you prefer to use batteries to power your pedals, you will be glad to know that the Tumnus Deluxe has the option to run on battery power. Level: controls the overall output level. 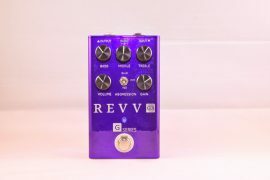 This pedal has tons of headroom, so you will find that the level control will have a significant amount of volume on tap. You will find that this detail actually makes quite a difference and maximizes the pedal’s usability as a clean boost. Gain: allows you to dial in the amount of gain you desire. Since the Tumnus is a klone pedal, turning up the gain knob means blending your clean signal with the pedal’s dirty signal. Many people use klones as clean boosts and keep the gain set low. If you choose to do this, your volume will be adjusted with the level control. If you want to add some dirt to your signal, or you prefer using the Tumnus as a full-on overdrive pedal, crank the gain knob up to add that legendary clipping to your output signal. Remember that finding a good ratio between the gain and level knobs will be key to honing in on your ideal tone. Bass: controls the amount of bass. Now, the original Tumnus already had more bottom end than most klones, but if you still want more, this knob will give you what you want. Conversely, if the original Tumnus had too much low end for you, this is your opportunity to filter that out while keeping all of the other things you liked about the original Tumnus. To replicate the bass level of the original Tumnus, set this knob to noon. Down for less, up for more. Mids: controls the amount of mids. Klones are known for their slight mid hump, but in general this mid hump is not as pronounced as it is with a classic Tubescreamer. But let’s say you like the general character of the klone sound, but you wished that you could get more of those throaty mids. Now’s your chance. Again, setting this knob at the noon position will give you the sound of the original Tumnus, so start there and adjust accordingly. We found that from the noon position up to about the 3:00 position is a nice range in which to find a sweet spot for cutting through the mix, particularly when it comes to single note playing. Turning the mids knob past 3:00 gets you into cocked-wah territory, which might seem silly at first, but can actually be great for copping the Michael Schenker sound. 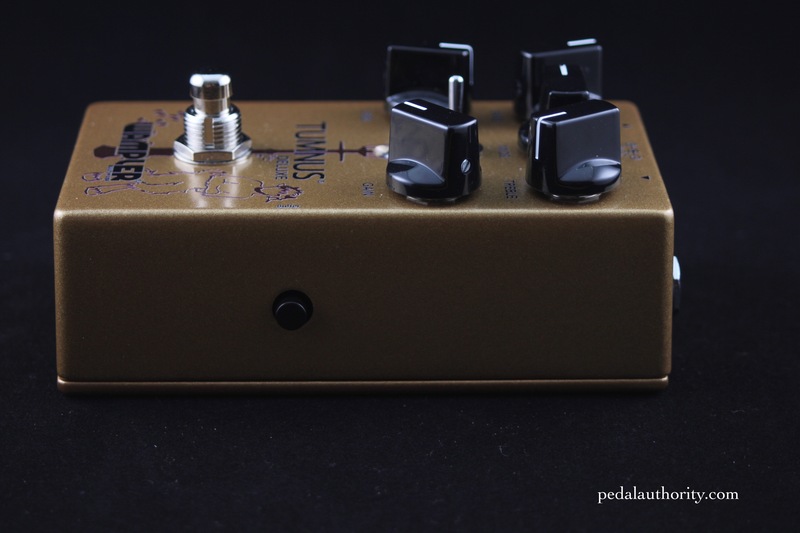 In fact, several manufacturers have begun making pedals designed to just do that, so its cool to know that if you have a Tumnus Deluxe, you might not need to get one of those. Treble: is the same as the treble control on the original Tumnus (most klones have a treble knob). If you are familiar with klones, then this is business as usual. 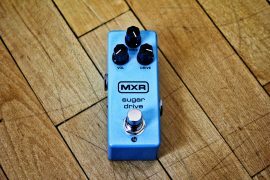 If not, know that this is a very sensitive knob that can be turned up when the gain is all the way down for a clucky clean sound, and rolled back a bit when the gain is up for those classic, smooth lead tones. Normal/Hot Switch: changes the function of the gain control. 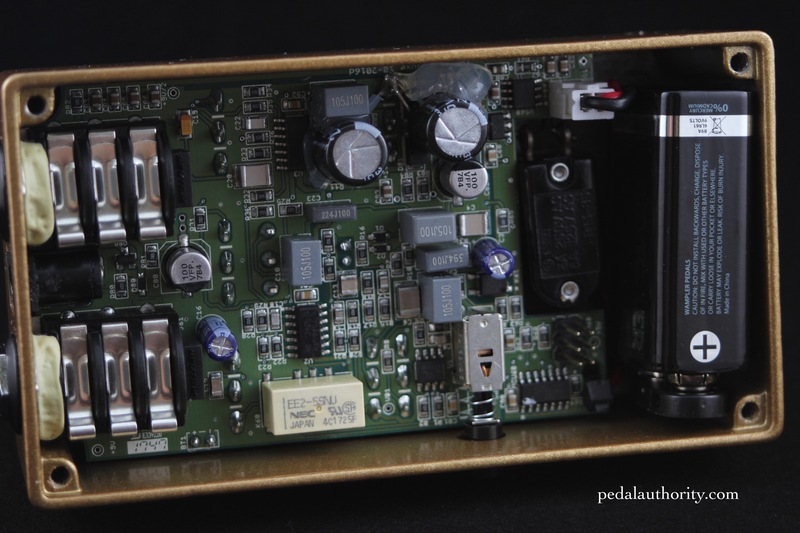 In the normal mode, the pedal functions with the same gain circuit as the original Tumnus. Most people consider klones to be on the lower end of the gain spectrum. When switched to hot, the Tumnus Deluxe gets a huge gain boost, and also begins to sound a bit more compressed. I would say that this pedal stops being a klone when the hot function is engaged. 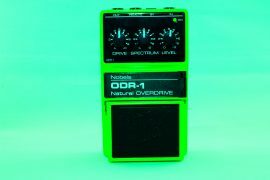 It is still klone-flavored, but at that point the level of saturation and compression is actually more similar to that of a Tubescreamer. This is good though, Wampler already has the Klon thing down, and it is nice that the Tumnus Deluxe not only functions as a klone, but also acts as a kind of hybrid that bridges the gap between Klon and Tubescreamer. 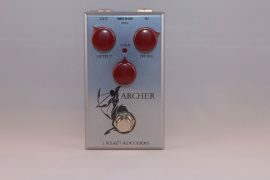 Buffer: is a switch on the side of the pedal that allows you to easily switch between true bypass and buffered modes. This is a feature that is becoming increasingly common, and we are fans of the trend. 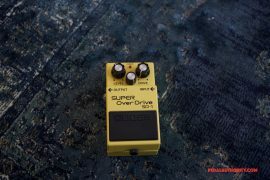 The original Klon was buffered, so you have the option of fully replicating the original, but if true bypass is what you prefer, then you have that too. If you are a fan of the klone sound, but want more options for tweaking your tone, the Tumnus Deluxe is the way to go. It has everything the original Tumnus does, plus the option for true bypass or buffered circuitry, lots of extra gain on tap, and a 3 band EQ. 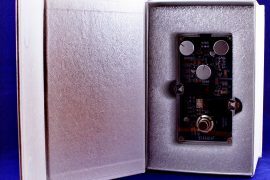 Interestingly enough, the Tumnus Deluxe is still less expensive than many klones, and when you consider that it is so much more than a Klon clone, that’s a great deal. 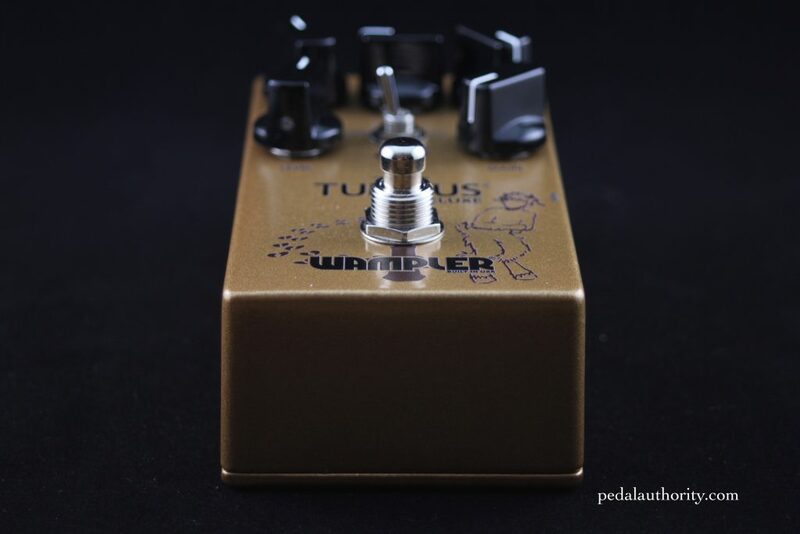 Whether you’re looking for a clean boost, a dirt pedal, or full on overdriven saturation, the Wampler Tumnus Deluxe is a great option.